The Rockefeller Center is Manhattan in an Art Deco nutshell, whether it's shopping, fine dining, or entertainment that you're after. "The Rock" is at its festive best around Christmas, however, so here are a few tips to make the most of your yuletide visit! The initial turning on of the lights is part of a huge ceremony that takes place on the first Wednesday after Thanksgiving. Arrive very early if you want a decent view! 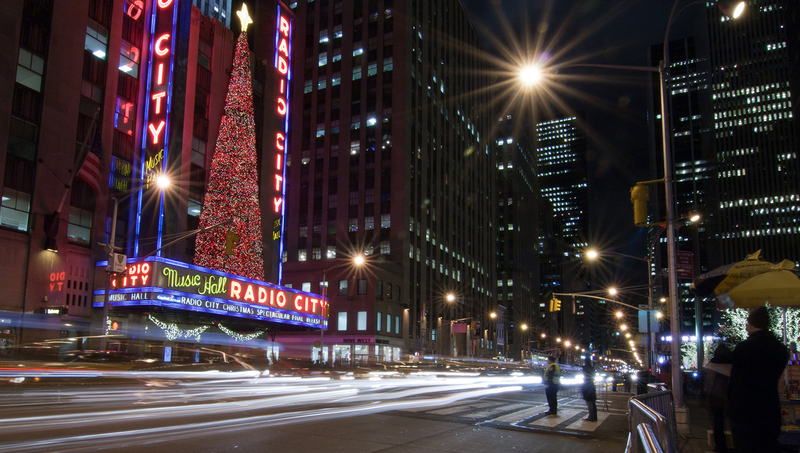 Of course, more of New York is lit up for Christmas than just the Rockefeller Center. 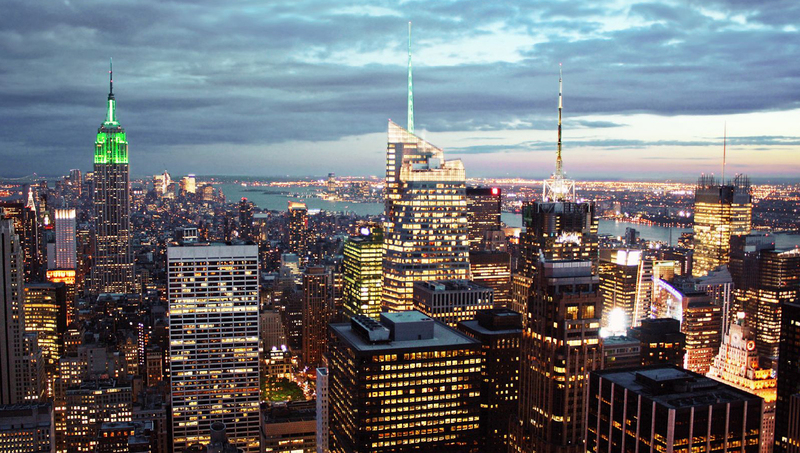 Find one of the festive city's best panoramas from the Top of the Rock observation deck! With only 150 skaters at a time, the Rink at the Rockefeller is more intimate than its spectacular urban backdrop might suggest! It's open annually from October to April. Take a guided tour of the renowned 30s music hall and then, if you liked that, top it off with a bombastic cabaret show led by their resident dance troupe, The Rockettes! The Rockefeller spectacles involve a lot of standing around! Even if you think you've got the temperatures sussed, bring an extra layer just in case! 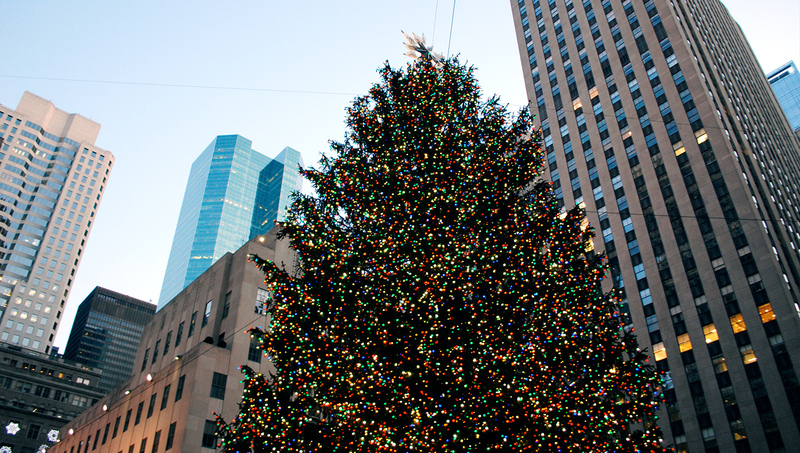 Rockefeller Center attraction opening hours differ slightly. Although the Top of the Rock observation deck is open daily from 8:00AM to midnight (last elevator to the top departs at 11:00PM), many of the others operate at regular office hours or adapt to accommodate events. It's worth checking each attraction's individual website for further details. 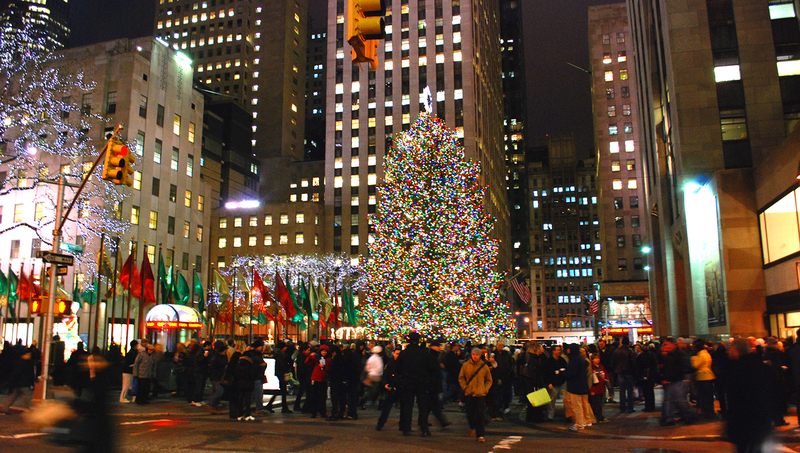 To reach the Rockefeller Center, take the B, D, F, or M train to the 47-50th Street Rockefeller Center stop. Top of the Rock open daily 8:00AM to midnight, other attractions vary. Top of the Rock adult tickets are $30, tour tickets are $20, or get a combo ticket for $42! 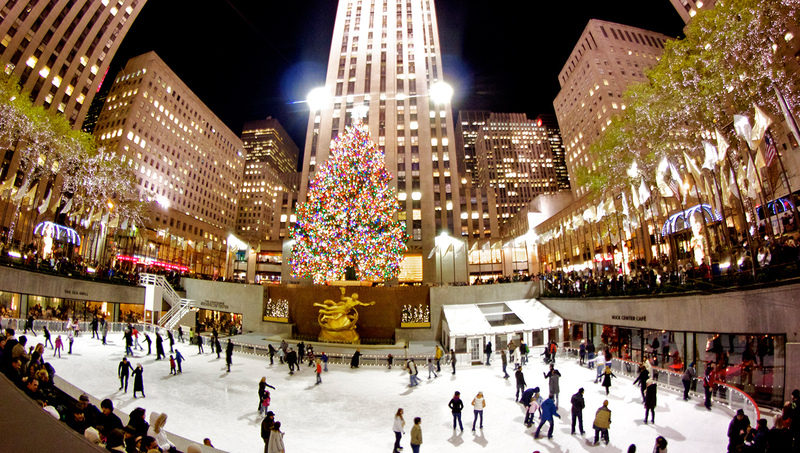 You can book a tour direct with Rockefeller Center, or there are some great tours which include a general visit! Take the B, D, F, or M train to the 47-50th Street Rockefeller Center stop.